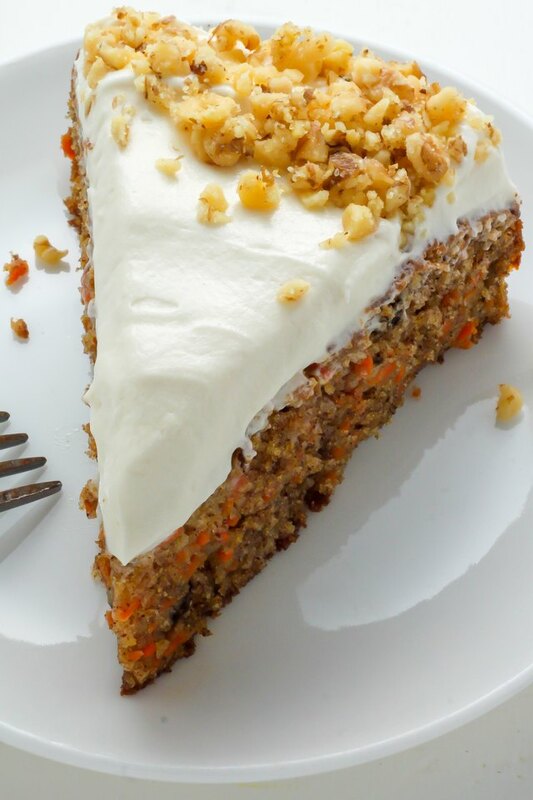 Homemade carrot cake topped with light and fluffy cream cheese frosting is hard to beat. 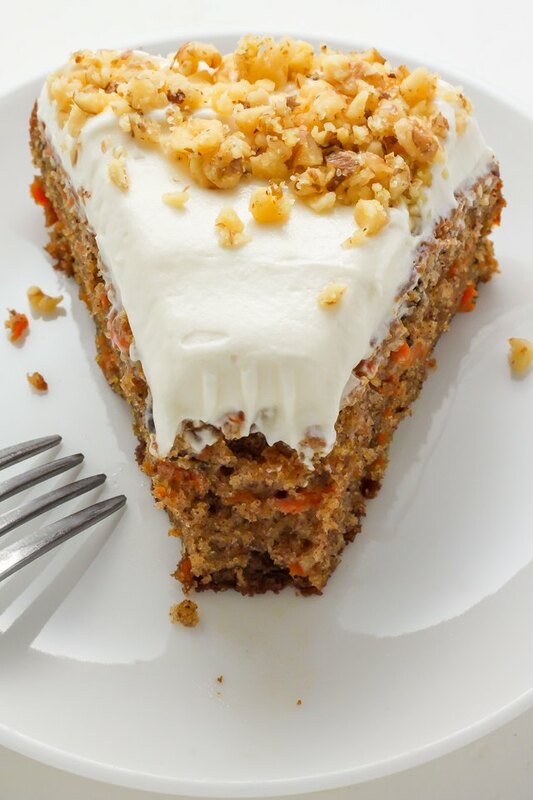 This easy and delicious recipe will leave you with a cake that tastes just like one you'd pick up from the bakery. This recipe yields one 9" single-layer cake, but can easily be doubled or even tripled if a multiple layer cake is preferred. 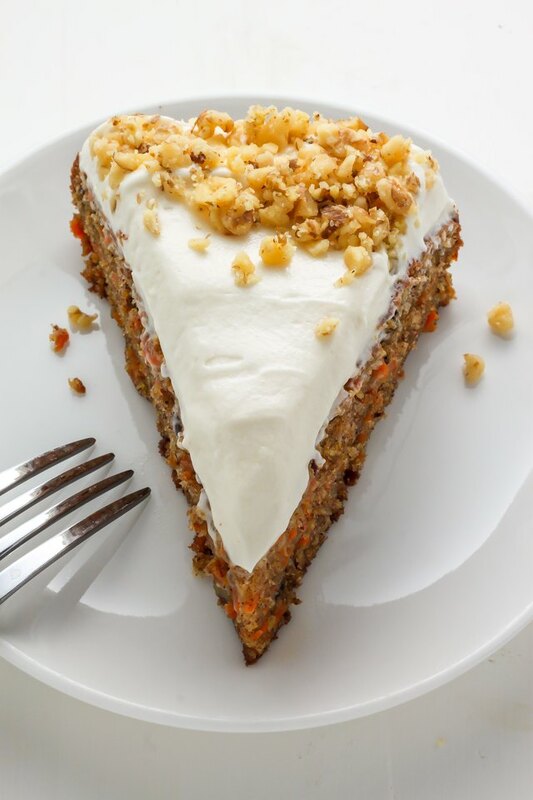 This Old Fashioned Carrot Cake recipe is perfect for any occasion that calls for a comforting homemade dessert. Preheat oven to 350 degrees (F). Generously grease a 9" springform pan with non-stick spray; set aside. Peel and grate carrots; set aside. Short on time? 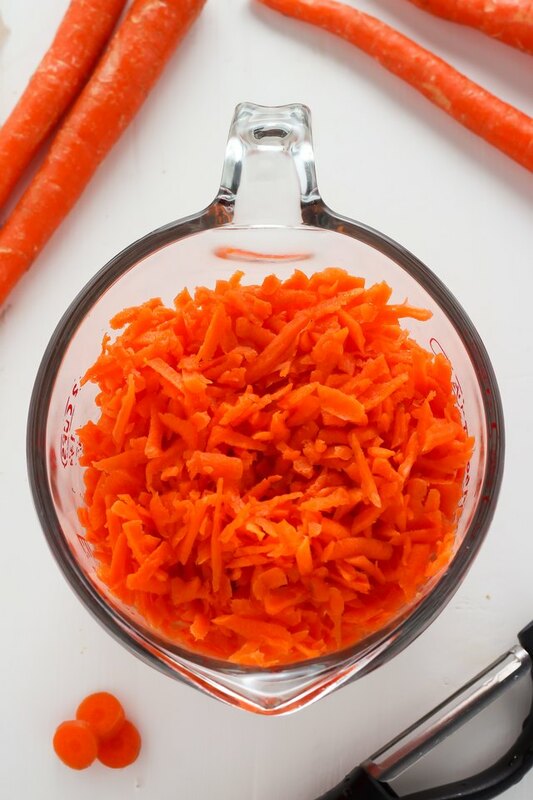 Use a food processor to grate your carrots quickly. 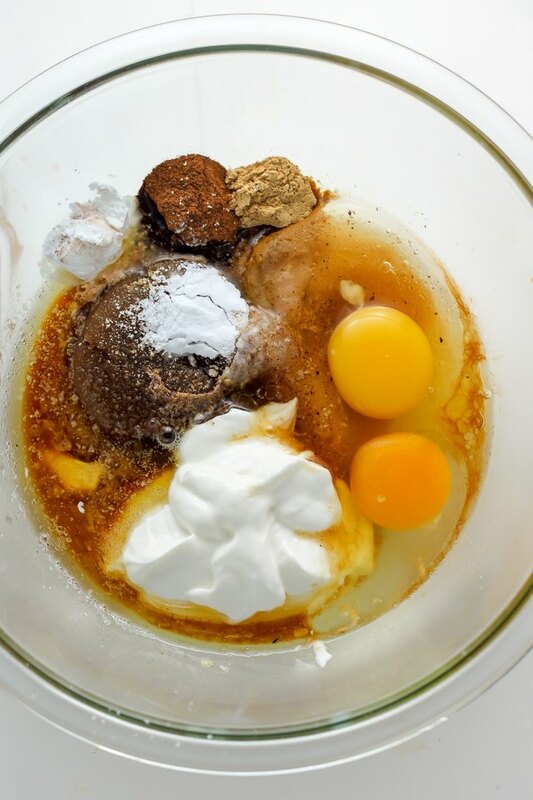 In a large bowl combine the eggs, brown sugar, oil, sour cream, vanilla, and spices; beat well to combine. Add the flour, baking powder, baking soda, and salt to the wet mixture; stir until just combined. 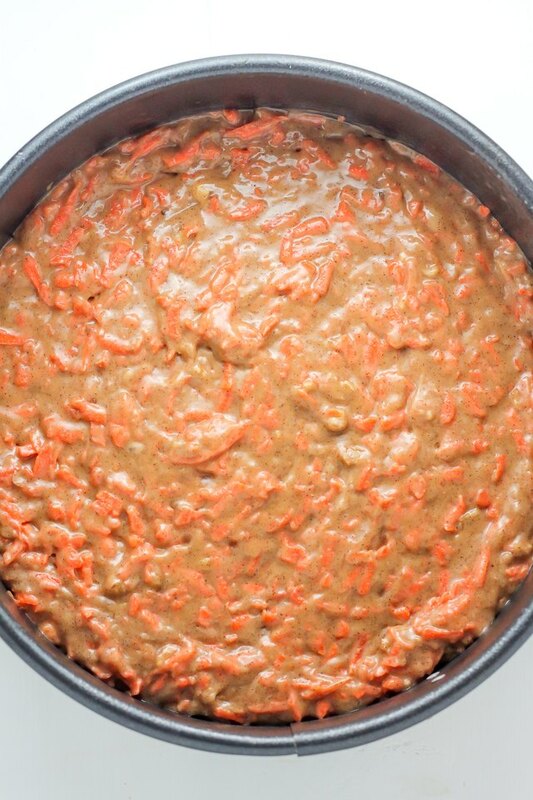 Batter will be on the thicker side but resist the urge to over mix, which reduces the fluffiness of your cake. 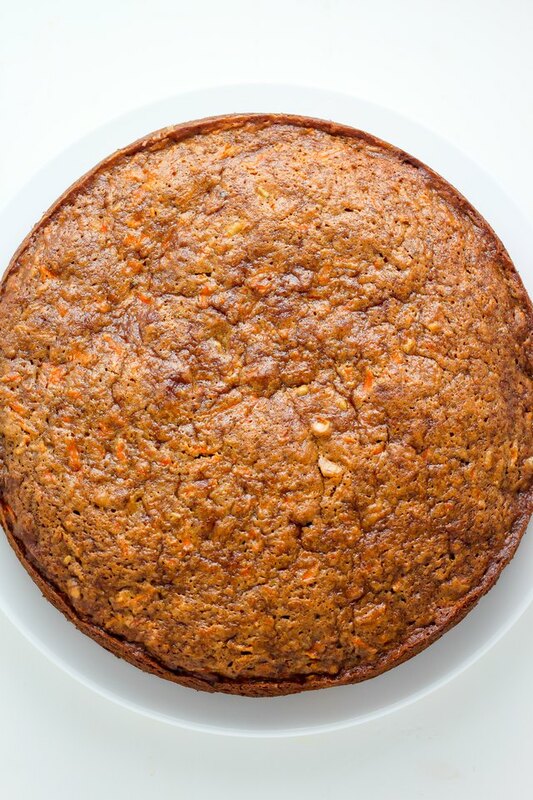 Add the carrots and nuts; gently fold together until incorporated. Bake cake for 42-45 minutes, or until the top is golden brown and set, and a toothpick inserted in the center of the cake comes out clean. Allow the cake to cool for 20 minutes in the pan, then transfer it to a wire rack to cool completely. The more you soften your cream cheese and butter, the fluffier your icing will be. Be sure to leave both ingredients out to soften for a few hours, ensuring they are very soft. Using an electric handheld mixer, beat the cream cheese, butter, and vanilla in a large bowl on medium-high speed until smooth; about 2 minutes. Reduce the speed to low and add the sifted confectioners' sugar. Beat on high-speed for 1-2 minutes. Once the cake has completely cooled, spread the frosting over the cake. Decorate with additional nuts, if desired. Slice and serve. Store this cake in the fridge, covered, for up to 4 days.